Without a doubt one of the most prolific creators in Iceland, Örvar Smárason can not only be credited with having co-founded such acclaimed and adored bands as múm and FM Belfast, but he’s also a poet, an artist, a collaborator – and a curator of the Nordic Playlist! Over the years, his various artistic endeavours have led to Örvar to become one of the most prominent musicians in Iceland, whose influence can be found woven through the vast array of music emerging from the country today. From the lilting, dulcet tones of múm‘s earlier work, through to the more experimental sounds being produced by the outfit today, to the hypnotically energetic live presence of FM Belfast, Örvar revels in the multiple musical outlets that he’s created – while constantly continuing to search for more exciting opportunities to explore. 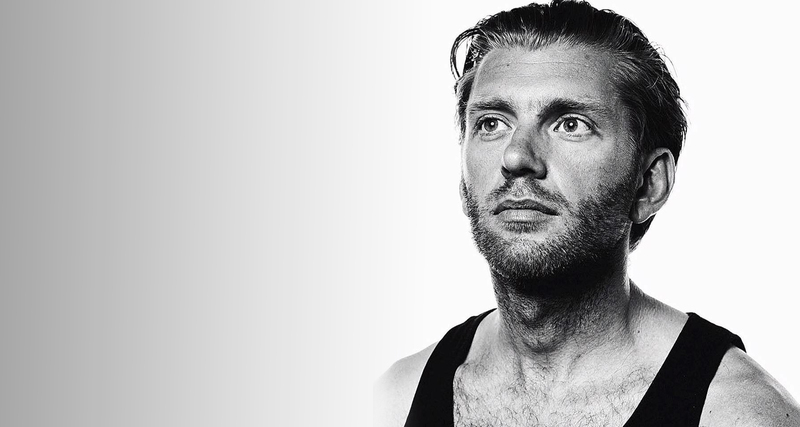 The 2016 edition of Iceland Airwaves Festival will see Örvar presenting various of his projects to the thronging crowds, including a performance from múm alongside Kronos Quartet, a 10th anniversary Airwaves gig from FM Belfast, and a much anticipated performance of múm’s ‘silent film project’ Menschen am Sonntag, which sees the band presenting a semi-improvised live score alongside images from the 1930’s German film. (Múm will also perform Menschen am Sonntag as part of CPH:PIX at Dagmar Teateret on the 28th October). Hi Örvar! You are without a doubt one of the busiest musicians in Iceland at the moment, so we’ll start with the imminent news first – Iceland Airwaves! Your band múm are set to perform with Kronos Quartet – so can you tell us more about this collaboration? It’s a project that has been very long in the making, both bands have been quite busy so it’s been a bit of a puzzle. The idea kind of comes from our Finnish drum maestro Samuli Kosminen, he has worked with some of the Kronos people on different occasions through other projects. We are going to perform both separately and then we will play the last part of the show together. It’s going to be mostly new arrangements from older songs in the múm catalogue. This will be múm’s first appearance in Iceland for 2 years (if we’re not mistaken?) so what should festival goers anticipate of múm’s homecoming performance this year?! I think we last played in 2013 so that would make it 3 years actually. We played the Fríkirkjan church and because it’s very small we ended up with queues around the building and people on the window for the whole show. It was actually one of my favourite múm shows I can remember. And the show this year will be our last ‘normal’ kind of múm show for a while. We won’t be doing any full band shows in the near future and will focus more on small projects like our silent film performances and such. So this is a special show and we are going to bring on some very special guests from the past. While we’re on the subject of Iceland Airwaves – you’ve performed there plenty of times before with your various bands and projects, so what are some of your favourite things about the festival? A good time to catch up with old friends? A week where the city goes wild?! About 10-12 years ago is when the festival really blew up, and around that time I used to play with every other band, so there was a lot of running around between venues. I remember one time, I think it must have been in 2004 or 2005 when I was studying in Prague, I came back to Reykjavík just for the festival and I think it may have been to play with Slowblow. But as soon as I landed I got a call saying that Singapore Sling had just had a bit of a shake-up on their US tour and needed a new bass player and a drummer as soon as possible. So I was rushed into a practise space and then pretty much straight up on stage playing music that was at the time a bit different from what I was doing. But it’s one of my favourite Airwaves moments, very random. These days I play mostly just with FM Belfast and occasionally múm and let the younger musicians run between venues. A big part of the festival for me these days is a small art exhibition me and Sin Fang do every year in some shape or form. We have a visual art collaboration thing going and released a book a few years back under the name Apfelsin Bros. This year we are doing it at Hlemmur Square, should be nice and I urge anyone who likes wonky drawings to walk by. This year has also seen múm focussing on the Menschen am Sonntag ‘silent film’ project, which you took out on the road earlier in 2016. For those that are unfamiliar with the project, could you tell us a bit about the idea behind it, and the immersive live experience that results from it? Yes, it’s a real project of love for us and these days it’s my favourite performance to do. I get lost in it pretty much every single time. We used to do these kind of projects a lot when we were younger and improvised electronic music to old silent films, and we kept getting a lot of requests to do play The Battleship Potemkin again and again. And ever since I saw this beautiful and kind of neglected German film Menschen am Sonntag, I had been wanting to do this one. It’s in many ways the complete opposite of Potemkin, so light and so airy, but with a heavy undercurrent. And we had a great way of writing the music, we did monthly improvisation sessions in Mengi in Reykjavík with different guests, so we would write the music to the film in front of an audience. After that we took it on the road and have played it all over Europe. We love taking it to film festivals and we have a performance of it taking place at CPH:PIX in Copenhagen on the 28th October. And we will also be doing it off-venue at Airwaves on the Sunday at Bryggjan Brugghús, so I highly recommend coming by in the festival hangover. You’re also a key member of the band FM Belfast, which is a very different musical proposition to múm – so what do you appreciate about the two different outlets that the different bands give you? We actually played our first proper concert at Iceland Airwaves 2006 so that’s 10 years ago now. So this year is a birthday show and we will go all out to celebrate. It is of course a very different outlet than múm and I can literally let my hair down for these shows. It’s so good to be able to just dance and do falsettos for a whole show, such a very contrasting thing to walking between instruments and singing the very quiet múm songs. And everyone who has been to an FM Belfast show knows we never have a quiet night, we always go hell for leather. It’s actually really physically intense and takes its toll. A lot sweat gets lost in one evening. And talking of FM Belfast, we’ve heard that there’s a new album on the way! 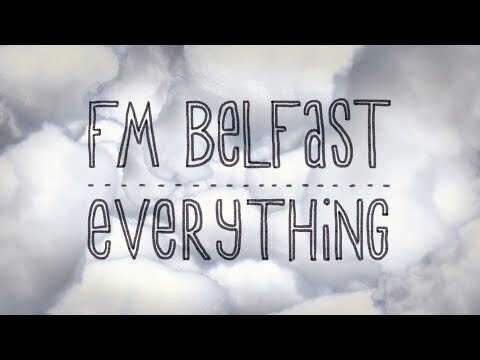 What’s the story there – who’s involved, how is it coming along, and what is FM Belfast’s ambition for this, their 4th album? Yes, we have been working in the studio and have a few songs ready, so the album should be out sometime next year. We have already released the first song from it called ‘You’re So Pretty‘ and it’s already become a live favourite. Very dancey beat and good groove. The line-up of FM Belfast keeps changing all the time, you wouldn’t expect anything else from an Icelandic band. We like to keep things alive. But there are still three of us who have been in the band from the beginning. As an Icelandic musician who works with a lot of Icelandic musicians, we have to ask – who are some of your favourite artists from your homeland? Do you have any new or old recommendations for our readers to check out?! I can mention a few right at the top of my head, but the problem is that if I wouldn’t want to leave anyone out, the list could be endless. Hermigervill‘s new album will be amazing. DJ Flugvél og Geimskip is an endless source of energy and she actually improvised with us on one of the Menschen am Sonntag nights. My studio mates Berndsen and Borko are both doing great things. I recently heard a young electronic band called asdfgh., very beautiful music and they are playing a off-venue program me and Sindri are doing for at Hlemmur Square for Airwaves. Kælan Mikla are also playing there, I saw them play one of the best shows I have seen in many years at the heavy metal festival Eistnaflug. They played a small dark venue and conjured up a mesmerising atmosphere. From the Icelandic Hip-hop scene I can recommend Kött Grá Pjé. And I would want to name so many more. The Nordic Playlist is all about discovering music and inspiration from the Nordics – so can you tell us about a Nordic artist or influence that has been particularly special or memorable for you? Growing up in Iceland we were subject to a lot of Danish popular stuff like Eddie Skoller and Kim Larsen. We are forever marked by this. But one of my big experiences related to Nordic music was seeing Bob Hund at Roskilde 1997. Really eye-opening and it had a huge effect on the album I was recording at the time with our old band Andhéri. I had never heard of the band at the time and kind of stumbled on to them because Stereolab had been playing the stage next to theirs, but after that I went on to see them a few times. And finally, can you tell us about each of the tracks that you selected for your playlist please? 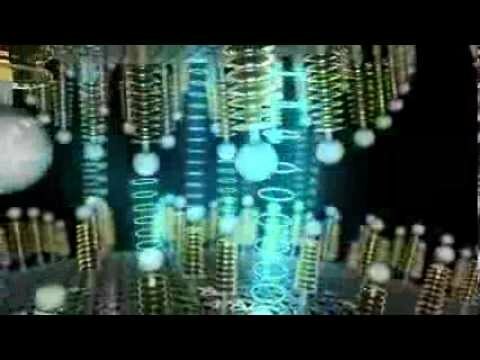 Why did you choose these tracks in particular, and what is their significance for you? One of my favourite songs this year, bewitching and hypnotising. We did an improvised collaboration show with them in Belgium about ten years ago, múm and Kemialliset Ystävät. I really remember that show fondly, we started off by playing a Neil Young cover that two kids, volunteers in the backstage had made. And we had a turntable burning and burning with a sculpture matches and lots of screwed vocals. So much fun. This is from Sindri’s new amazing album Spaceland and it features one of my favourite musicians in Iceland, Sóley. I really hope I get a chance to do a collaboration with these two soon. I really like the whole album, but this song specifically stands out. Reminds me of prime era Stereolab. And the it doesn’t hurt that the drums on the album are all played by my favourite boy Magnús Tryggvason Eliassen. This is such a forthright cover by Dungen of Aphex Twin, the latter’s music being very important to the origins of múm. Just heard this track recently and it’s going straight in the múm DJ set. Fun song, great vibe. I remember hearing it on a great Fonal Records compilation called Summer and Smiles of Finland, which I can wholeheartedly recommend. This is probably one his most accessible songs, which says a lot about how crazy much of his work is. I kind of remember meeting him at some point in the Fatcat offices in London many, many years ago and thinking what an interesting fellow that was. I might also just have dreamt that. Lóa pointed this one out to me, it’s one of her favourites. They played with FM Belfast in New York some years ago, where the police had to come and shut the Belfast show down for being too loud. One of my all time favourite Icelandic bands, but sadly they are defunct now. I’m putting this song here in the hope that somebody goes out and checks out the rest of their music. A slightly over the top, but very beautiful cover of one of my favourite songs. I really liked the last El Perro Del Mar album and its very interesting sound. The Suicide version of this has been the last song at so many bars, clubs or after parties I have been at throughout the years so it’s perfect to end the list with it.